My name is Chrissie Cola and I am the Junior High Faith Formation Coordinator for St. Rita. I would like to welcome you to our Junior High Youth Ministry and Faith Formation Program. We have a great year planned for all our students! I am excited and blessed to get to know all of you and your families. The purpose of this program is to create a setting where Catholic Junior High Teens can come to learn more about our wonderful Catholic faith, grow closer to our Lord, serve others, make great friends, and have fun! We will be meeting on Sunday evenings for our PSR/Faith Formation program. We invite you to join us on Sunday evenings for an engaging time learning about our faith. Click here to register. Please bring your child to Camp Burton at 10:00 a.m. Please plan on attending a closing prayer service at 5:30 p.m. at Camp Burton. This Prayer Service will be for all families with your teen. All 6th, 7th, and 8th Graders Welcome! Bring a Friend! Needed: Parents to Chaperone! Retreat cannot happen without you! Each child should bring one drink package (juice boxes, Gatorade, water, etc.) to share. Dress comfortably and for the weather. Please bring a change of clothes and shoes! We will be rock wall climbing and ziplining! Register here by May 3. Junior High PSR and Youth Ministry! PSR is 6:00-7:00PM in Mazanec Hall! Register Online here for Faith Formation programs. Register Online here for Catechist volunteer. 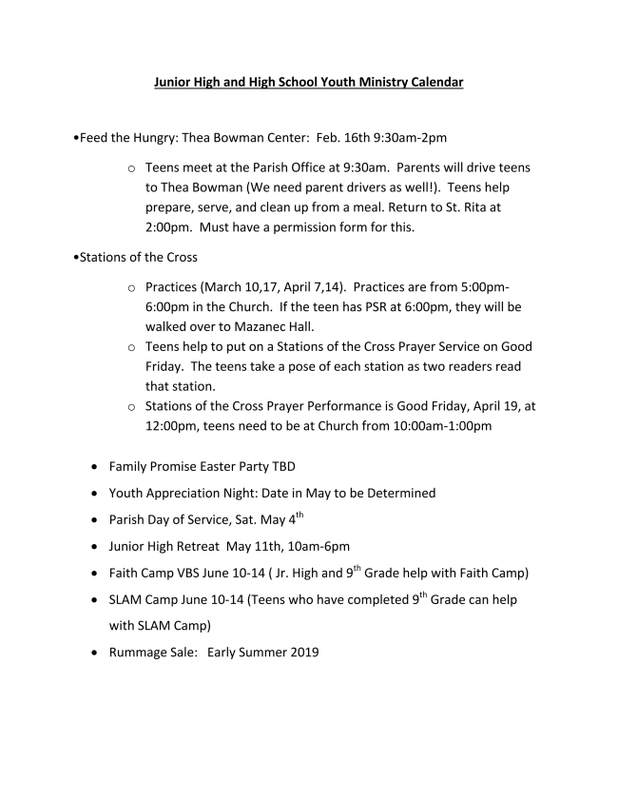 Please plan to be a part of our Prayer Service of Stations of the Cross! These will take place on Good Friday with the practices listed above. 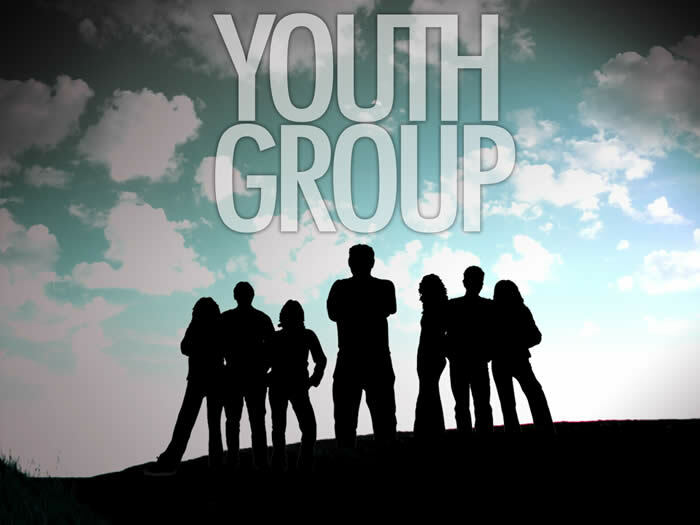 High School PSR and Youth Ministry! PSR is 7:30-8:30PM in The Church!